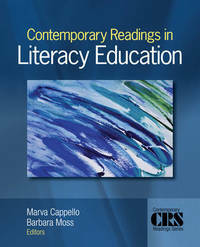 Contemporary Readings in Literacy Education is designed to provide students with high-quality journal and research articles in literacy education. The readings are contextualized with introductions and discussion questions by the editors of the text. The text will help instructors to easily integrate the latest research into their course in a meaningful way. This reader, with edited content and contextualizing material, makes the latest research more interesting and accessible to the students of literacy education.